The equipment optimizes foreign advanced conception. It adopts Mitsubishi serve control system. Touch screen size parameter inputting. Then inserting the strip into the soft PVC gasket. Power of this machine is supplied by serve motor and cylinder. 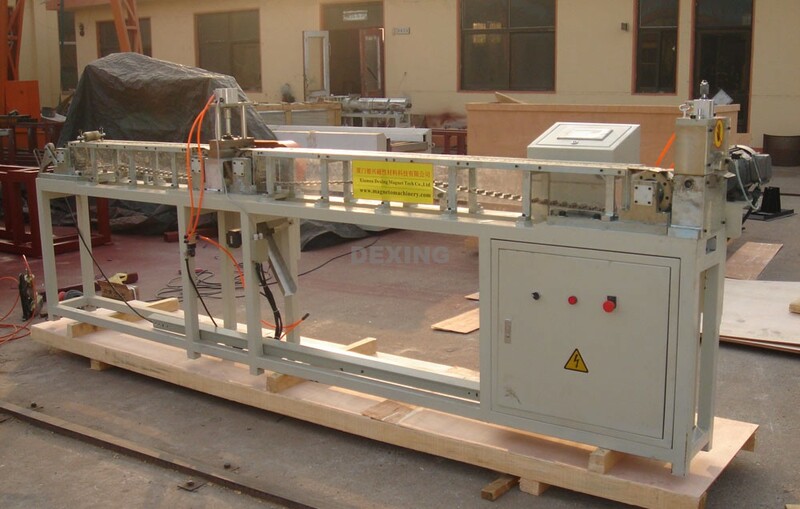 The magnetic strip transported from strip unwrapping machine is inserted into 45 degree gasket conveniently. The inserting machine produces fridge door seal and gasket fast. 11 Output 10000m/12 Hours approx.